2 How to delete a Tinder profile ? 3 How to contact Tinder ? How to delete a Tinder account ? How to remove a Tinder account ? How to remove the Tinder app ? How to unsubscribe from Tinder and delete all its Tinder data ? Delete-account.net propose a detailed tutorial to understand how to delete a Tinder account and remove a Tinder profile. If you want to delete a Tinder Account, we are going to see in this post how to delete a Tinder account and truly erase all your personal data from Tinder (even the ones that could still be on your Facebook account). Tinder is one of the most famous app around the wold. Founded in 2012, Tinder claims 1.6 billion users (in 2015) and 26 million daily matches. Considered as a dating application, Tinder has become for some a game or a hobby to fill the boredom during the day by judging whether a person is quite attractive with a flick of the thumb or finger (depending on your style). By the way, if you using a lot the app, this thumb or finger move will become almost natural. Tinder is quite fun to test but maybe not necessarily good to keep. Tinder dates have not the reputation to be the most romantic and if you are looking for THE true love, you could be disappointed by Tinder (although nothing says that you do not will tell one day your grandchildren how you met their grandmother or grandfather on Tinder ). We are going to see in this tutorial how to delete a Tinder account. Before seeing how to delete an account Tinder , let’s look at a different option. An alternative to deleting a profile Tinder is deactivating your Tinder account. This manipulation request go to your Tinder parameters and select the “settings” of your account. Go to your tinder, go on the left to reach the settings menu. Once in the setting, simply turn off the discovery button by dragging it to the left. 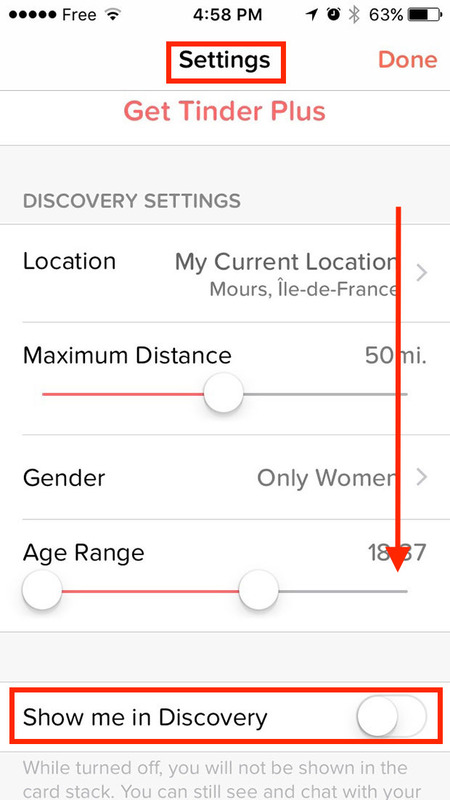 Go to your settings and deactivate your Tinder by turning off the button “Show me in Discovery”. Deactivate the discovery will disable your Tinder profile. No one can find you on Tinder after this. However, you will always have access to your messages and affinities. So you can therefore continue your seductions operations with various Tinder matches . How to delete a Tinder profile ? 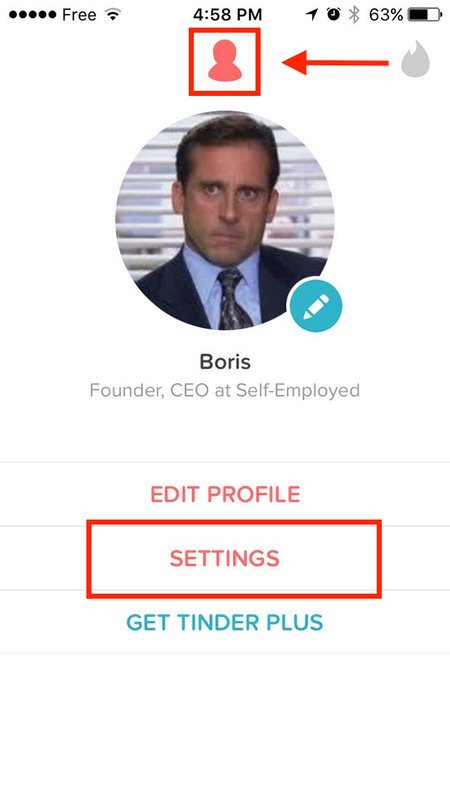 To remove a Tinder account and delete a Tinder profile go to the app, go to the settings menu and drag off until the bottom of the screen. 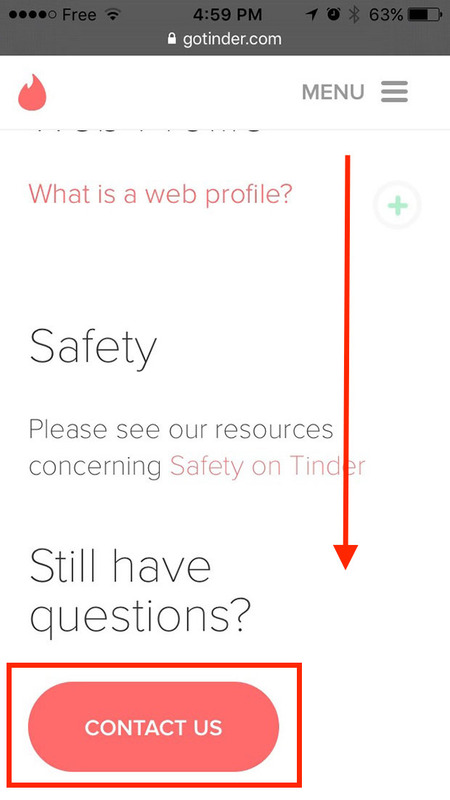 Once again, go to your settings and on the bottom of the screen you will find the link to delete a Tinder account. You will find the button to delete a Tinder account. Push the button, then, you will have to confirm the deletion. If you delete your tinder account, all your data will be erased for ever. 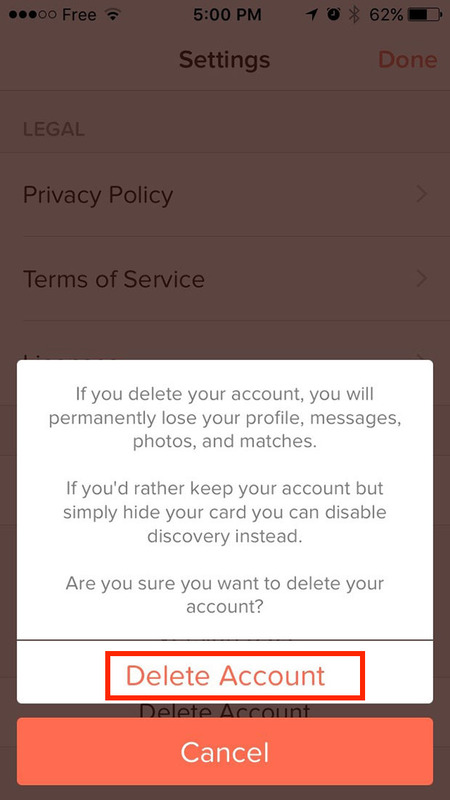 Tinder reminds you that all of your account and account data will be permanently deleted . 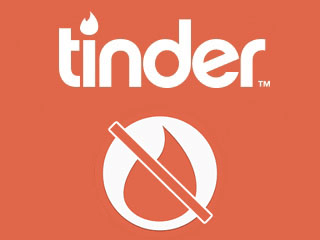 It will be impossible to recover your data , messages or affinities if you decide to delete a Tinder profile. Even if you will create a new account Tinder with the same Facebook profile after the first deletion, there is no way that you can get back data from a deleted account. Confirm the deletion by pushing “Delete Account”. How to contact Tinder ? 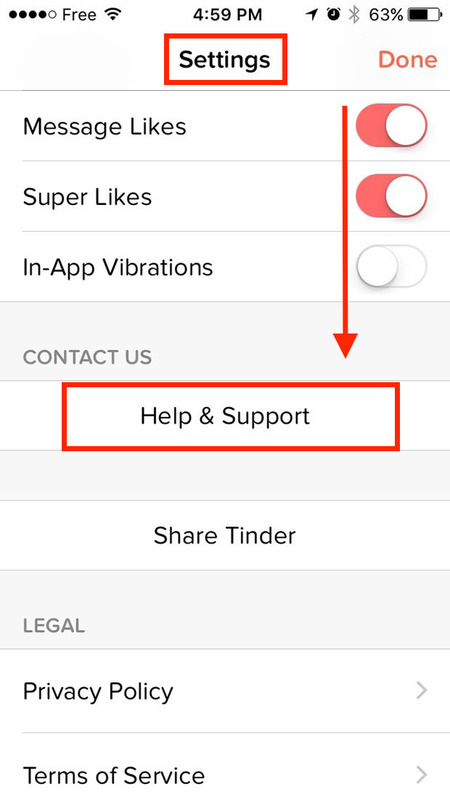 If you have a question or if you have a problem on Tinder, you can contact Tinder for help. By the app you can access to the contact form in the settings menu. Go to the settings menu and push “Help & Support”. You will be redirected to the website gotinder.com . Go on the bottom of the screen and press the button “contact us”. 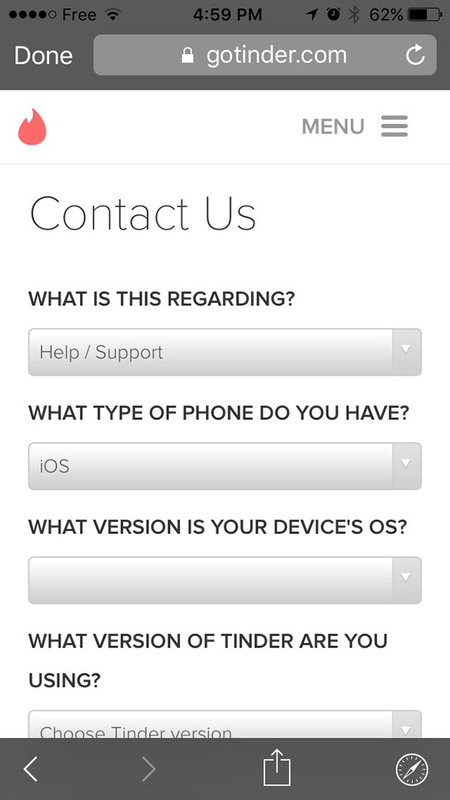 Go on the bottom of the page to access to the button “contact us”. You will arrive on the official form to contact Tinder. You will just have to complete de form and submit it to Tinder. If you have any problem with your tinder account, you can use this form to contact Tinder. If you already have deleted your Tinder Account, you can also access to this form by following the next link : contact Tinder customer service . Although the application has been uninstalled and your your Tinder account deleted, it remains a last trace of the app on your Facebook . Tinder is using Facebook profile to create an account. And when you create a tinder profile, the Tinder app set up on your Facebook. Log in to your Facebook, select more on the bottom of the screen and “Settings”. 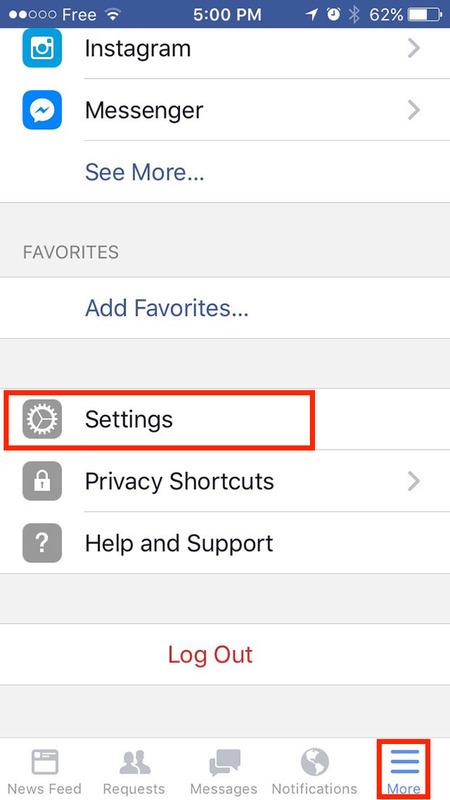 Go to your settings on Facebook. When you are in your settings, simply go in the section “Apps”. When you are in your setting, go in the section “Apps”. 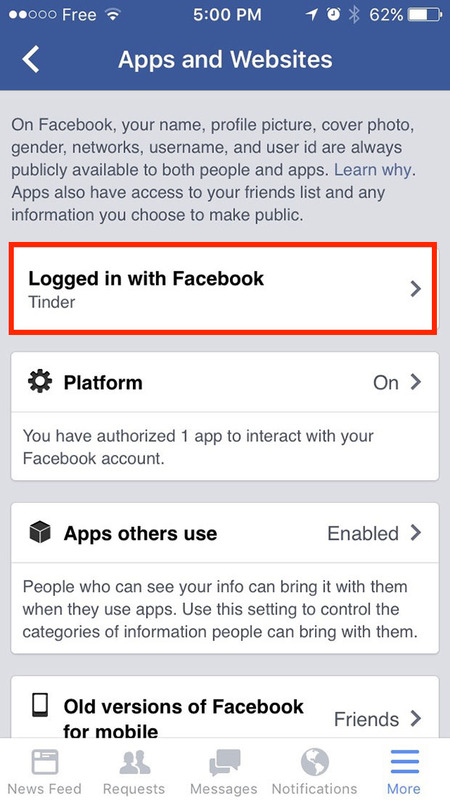 Once on the Facebook applications page, you will see “logged in with Facebook”. 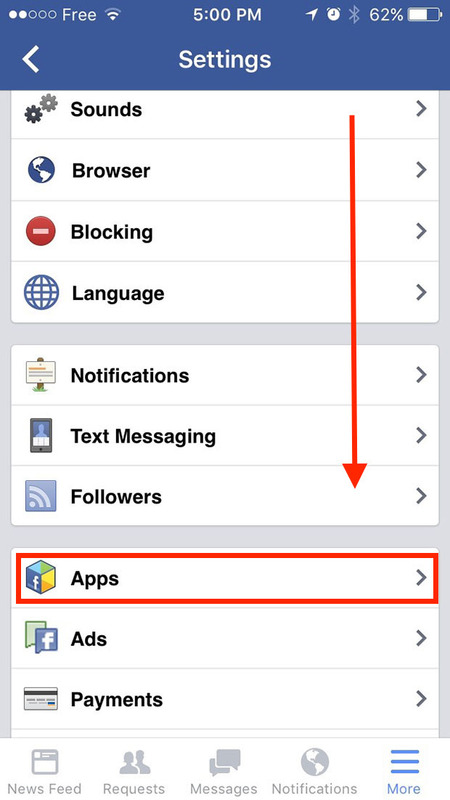 In the section “apps” you will find every app connected with your Facebook. You will just have to select the app you want to delete, go on the bottom of the screen and press the button “Remove App”. 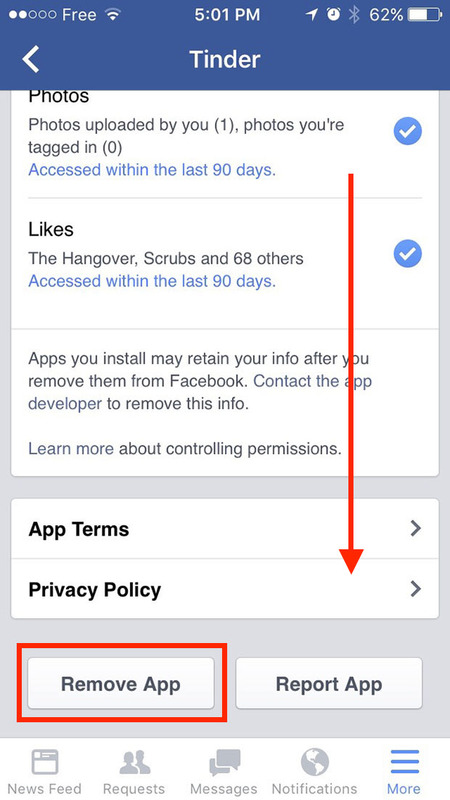 Select the app then delete it from your Facebook by pushing “remove App”. 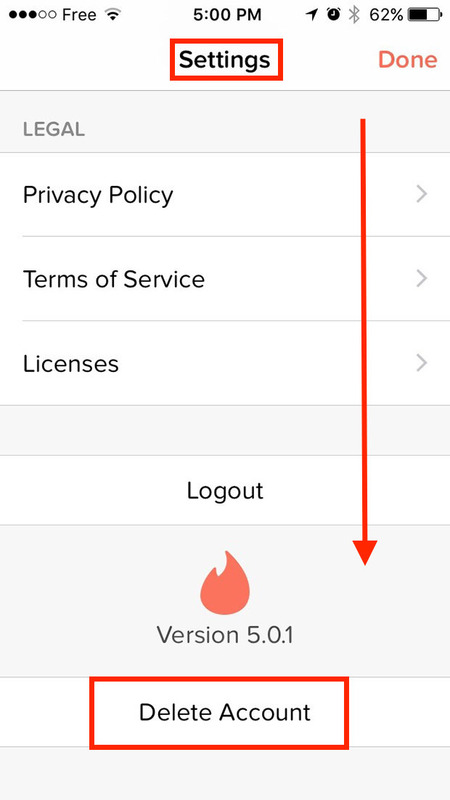 If you had follow this tutorial step by step your Tinder profil is now completely deleted. You simply just have to delete the app from your smartphone to complete the deletion process. By the way if you also want to delete a Facebook profile, you will find a detailed tutorial on how to delete a Facebook Account.